Toyin is passionate about building wealth for Africans through provision of advisory and capital raising solutions for infrastructure and development to African Governments and businesses and by offering investment services to individuals and groups, in pursuit of sustainable economic growth within the African region. From a background in securities law and extensive experience in corporate finance, trusts and asset management, she leverage on networks and relationships across markets and segments to achieve personal and corporate goals. 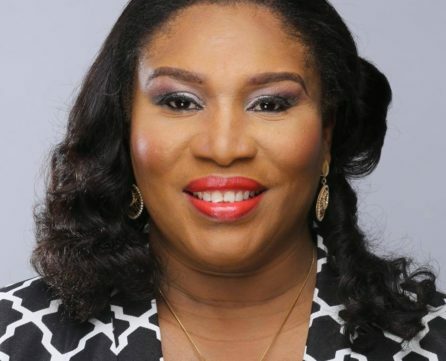 She is currently Group CEO at United Capital Plc, She was former CEO, UBA Trustees, CEO, UBA Global Investor Services, MD/CEO, Cornerstone Trustees Ltd and AGM, Trust Services at First Trustees (a subsidiary of First Bank of Nigeria Plc). In the course of her career, she started and have built three Trust businesses, an Asset Management business, a Leasing business, a Pension Fund business as well as a Custody business spanning 9 countries. She is currently President of the Association of Investment Advisers & Portfolio Managers, Nigeria and Chairman of the Capital Market Committee on Financial Literacy Week. She also carries out other activities which include speaking at Investment, Capital Markets, Trust & Custody and events eg African Business School conferences at Howard University, USA & Imperial College, UK, Global Custody Forum, Network Managers Conference, and Teaching at the University of Lagos/IAPM PGD on Pension Funds Mgt.